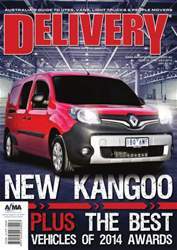 Renault’s new Kangoo sets the scene for brand new products that are innovative and interesting and Delivery scores the first Australian test drive. Dave Whyte takes the new Transit Connect around the streets of Melbourne and we renew our acquaintance with the latest HiAce and the VW Amarok automatic. For those that want weekend recreation we take the Ford Ranger into places off road that you really wouldn’t want to visit, especially with the family on board. 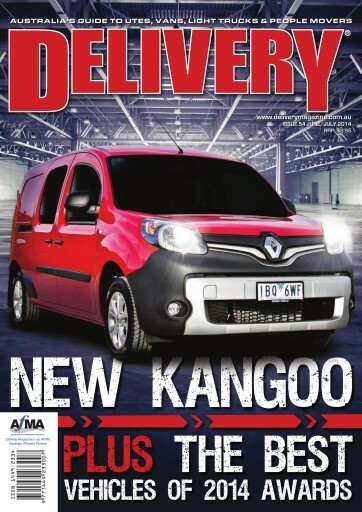 We profile all the contenders in our search to find the best vans, utes, light trucks and people movers as all companies compete for the annual Delivery Best Vehicles of 2014.